Caption: A deck of cards is all you need to get started with playing poker. Poker is a game with relatively low barriers to entry, especially when compared to other hobbies like snowboarding or photography that require the purchase of expensive equipment. In contrast, it is possible to begin playing poker with only a deck of cards, which can be purchased for around $5 on Amazon. While it is possible to play poker for money, it is also not a necessity, and, therefore, the cards are technically all you need. While it is easy to begin playing poker, mastering it requires a lot more effort. Some say that it takes around 10,000 hours of practice to become an expert at something, although some academics have questioned this recently. Nevertheless, though the technicalities are not of importance, the concept of “practice makes perfect” is still true whatever the number of hours required. To begin, you must first start. Therefore, it is a good idea to have a basic understanding of poker before you play. A testimony to this is Chris Moneymaker, who qualified for a World Series of Poker Main Event with $86, and used it to build a professional career. The objective in poker is to have the highest (or in some cases, lowest) scoring hand. To do well in a poker game, knowing which hands are worth more is critical to understand. For example, you achieve a straight flush with several different number-card combinations, so where two players both have this hand, the winner is the player with the highest number. The best hands can vary between each version of poker. However, in most cases, the highest scoring hand is known as a royal flush. 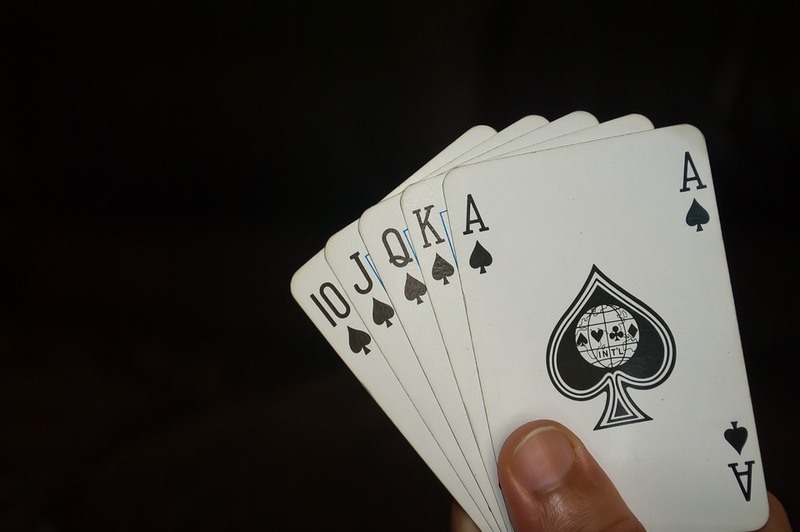 This hand is a combination of the ten, jack, queen, king and ace, all from the same suit (hearts, diamonds, clubs or spades). The next best hand is the previously mentioned straight flush, as it is again made of five numerically sequential cards from the same suit. However, the difference between the straight flush and the royal flush is that the straight flush can be made up of any five sequential cards. For example, three, four, five, six, and seven would create a straight flush as would six, seven, eight, nine and ten. If these two hands were up against each other, the latter would win because of its higher numbers. The third best hand in poker is known as the four of a kind, which comprises all four cards of the same number or face. An example of this is having all four ace cards, plus an additional card. Fourth in this list is called the full house. This hand is made up of three cards of the same face or number, plus a pair of the same face or number. For example, three queens and two jacks could make up a full house. Rounding out the top five best hands is the straight. This hand is like the straight flush, except that the sequential number or face cards are made up of any combination of suits. So, a straight could contain all two, three or four suits across the five sequential cards. You have many choices when it comes to deciding which version of poker to play. Popular variations of the game include Texas Hold ‘em and Seven-Card Stud. 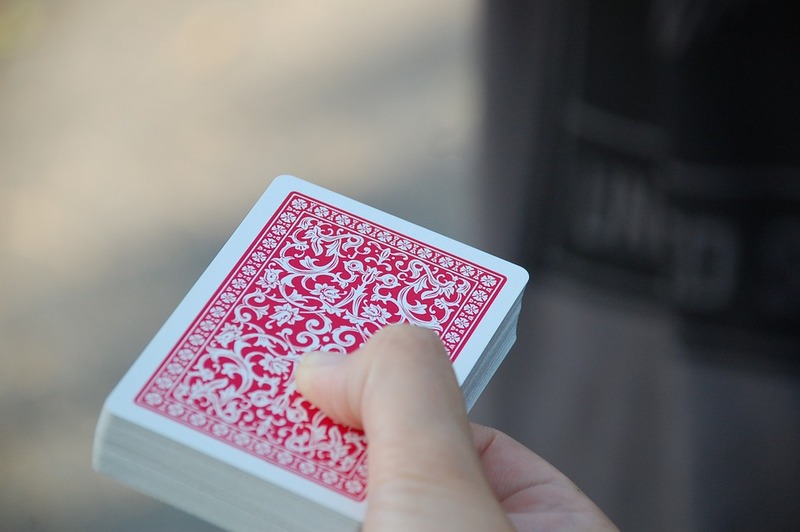 However, it is widely considered that Five-Card Draw is the simplest version and, therefore, ideal for beginners. The basic premise remains the same across all versions of poker. However, there are small details that vary from type to type. Whichever version you play, ensure you familiarize yourself with its specific rules. While they may use this adage in the military, it doesn’t transfer to poker. Leave egos at the door, and never try to run before you can walk. For most players, including professionals, the best way to play is “defensively,” meaning folding more times than not and controlling the game in the way that you want. Playing aggressively too often may seem heroic, but you’ll likely lose. As you find your feet in playing poker, it’s best to take it slow, building your understanding of the rules and the different hands, then you can begin to develop more complex strategies.